Arriving around 6pm, the restaurant was crowded, but not overly so. As the night went on, the wait time grew, but we got a table in fifteen minutes or so. The restaurant is narrow, but cozy, with a nice atmosphere for enjoying good eats with friends or family. The staff are really friendly and helpful, never rushing us along despite the high demand. Naturally, a pizza restaurant is an inherently risky choice for someone both gluten and dairy-free, but Don Antonio is the rare breed that gets everything right to minimize cross contamination. While the kitchen is shared, the pizzas are prepared in a separate, dedicated area and fired in a dedicated oven. The menu itself is easy to navigate. Vegetarian and vegan items are marked, and the gluten-free menu is a dedicated page where each offering is more tantalizing than the next. For those who are interested, gluten-free beers are on hand. The only gluten and dairy-free pizzas (without requesting to removing cheese) are the marinara and vegana pizzas. I debated between the two vegan pizzas ultimately deciding on the vegana because it was laden with vegetables- which were lacking from my diet that day. It arrived and the wait staff announced it was gluten-free before setting it down. I was impressed by the massive scale and beautiful presentation of the pizza. If you didn't know otherwise, it'd be hard to pick this pizza out of a lineup of gluten-full pizzas! I was in love with my pizza after only one bite. The crust, charred on the bottom thanks to the wood oven was chewy and crust-y, the epitome of what Neapolitan pizza should be. It had nice air pockets and was supportive of the toppings, and earned two solid thumbs up from me, a notoriously picky pizza eater. The tomato sauce was simple but allowed the simpleness of fresh tomatoes and aromatic olive oil shine through. The veggies were all sautéed and were all fresh and flavorful. The pizza was pure, unadulterated perfection, and easily nabs a spot as one of the best pizzas I've ever eaten- gluten-free or not. 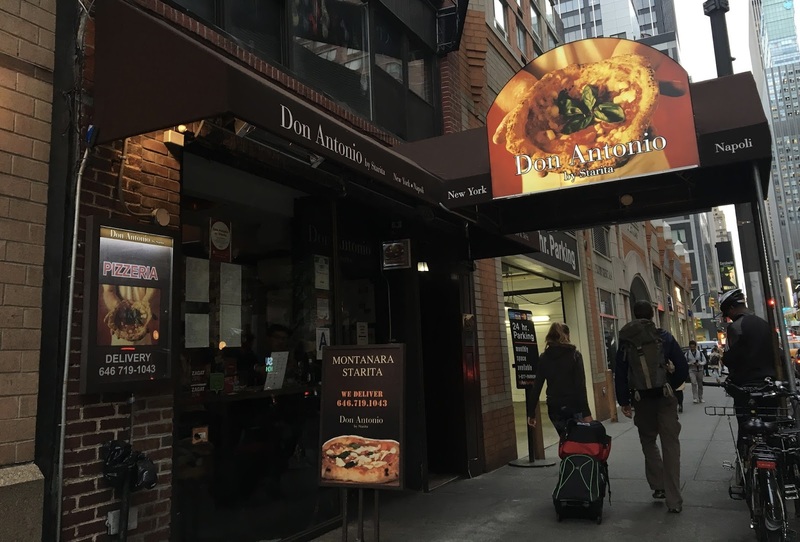 The truly amazing thing about Don Antonio is that the pizza game is strong, the gluten-free expertise is high, and the location and atmosphere combine for one truly unforgettable New York pizza experience (even though it's not traditional New York pizza). Although not dedicated gluten-free, I would eat here in a heartbeat again and again (they also have delivery service too!). Whether local or tourist, this is worth a maddening trip near Times Square, because you'll leave with a stomach full and smile on your face. The pizza is pricy, but it's worth it for a splurge, a celebration of food, friends and family. I know I will be dreaming of my pizza for months to come, and will make Don Antonio one of my first stops on a future trip to the City. 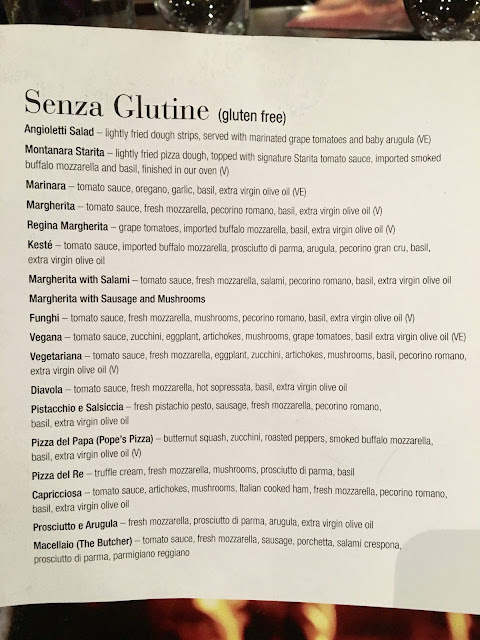 Update 4/8/18: According to recent reviews on Find Me Gluten-Free, Don Antonio has reformulated their pizza dough so that it now contains "gluten-free wheat starch." 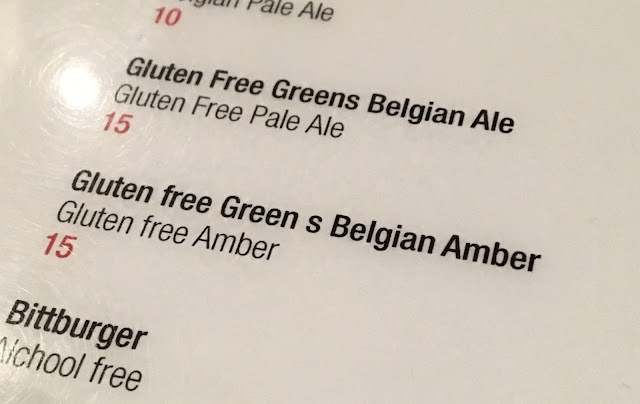 I have not returned, nor have I confirmed this to be the case, but if you are celiac or allergic to wheat, you should check with the restaurant to confirm this before ordering the gluten-free crust. Special Features: Reservations not accepted. Order online here.